When you cast on an even number of stitches, all of the rows will begin with a knit stitch. 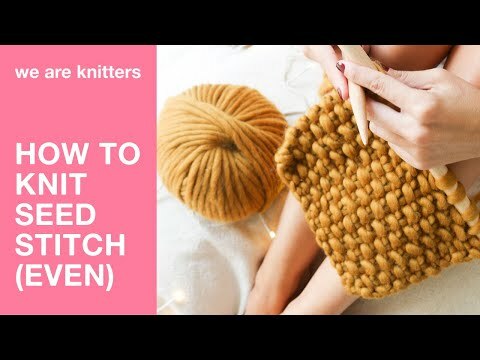 Keep alternating knit and purl stitches until you finish the row. Turn your work and since you have an even number of stitches, begin the next row with a knit stitch. Bring the yarn to the front and purl one stitch. Place the yarn behind your work and knit one stitch.Repeat as many times as you like.